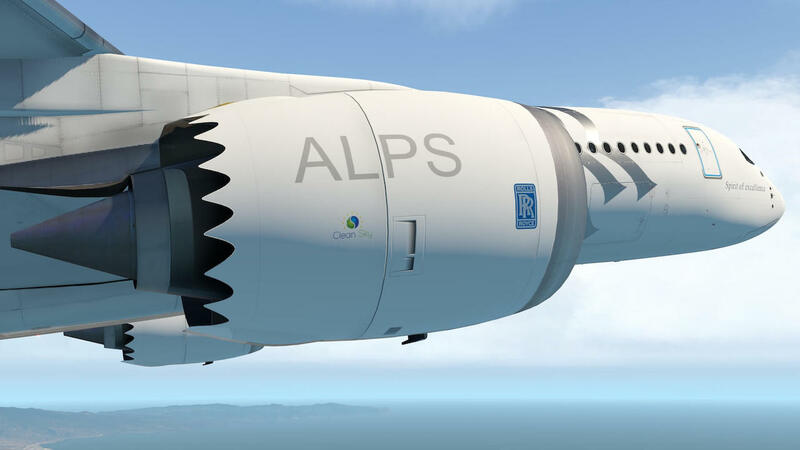 This time a mixed article/package about the Roll Royce Trent ALPS engines and the Flight Factor A350 with ALPS test engines installed, brought to you by Fabio or also know under the Org user name fscabral. But first, some Rolls Royce Trent history and then in particular the RR Trent ALPS engines. 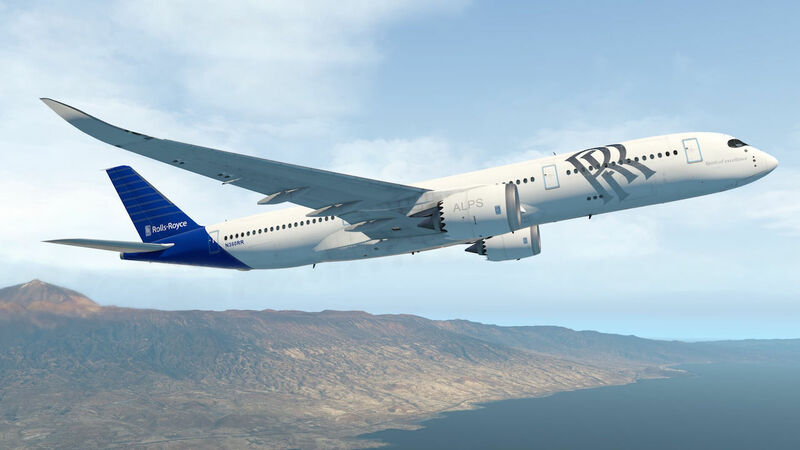 On behalf of Fabio I present to you for the Flight Factor A350 v1.5.x …… the Advanced Low-Pressure System (ALPS) virtual CTi fan blades and modified engine cowling. After flights test in 2014 of CTi fan blades with a titanium leading edge and carbon casing, they had indoor and outdoor tests in 2017, including crosswind, noise and tip clearance studies, flutter mapping, performance and icing conditions trials. 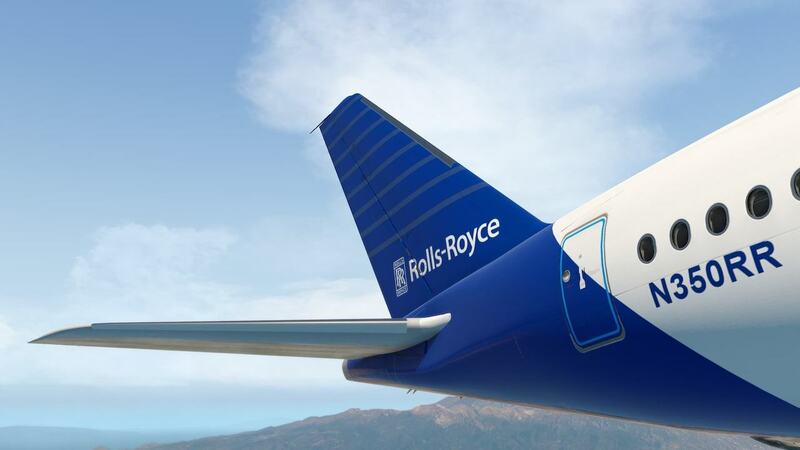 Rolls-Royce will ground test in 2018 its ALPS demonstrator: a Trent 1000 fitted with composite fan blades and case, including bird strike trials. 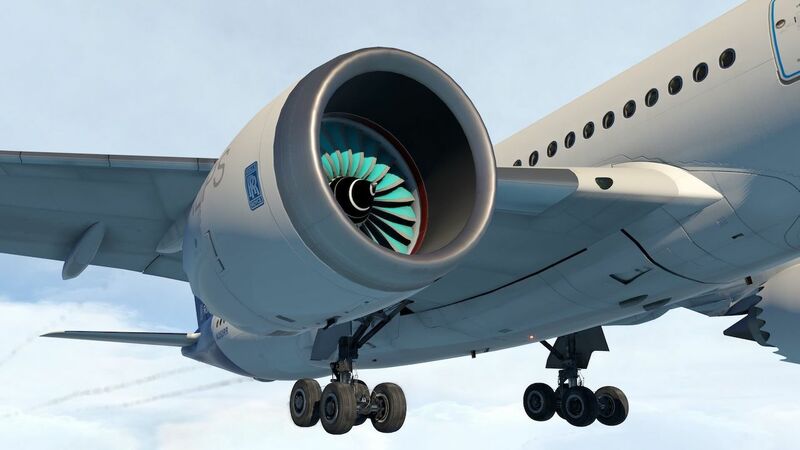 With this in mind, Fabio decided to modify the Flight Factor A350 Series fan blades from the original virtual Ti blades to the CTi (Carbon Titanium) blades as well as modifying the rear engine cowling as can be seen on the Trent 1000 cowling. Let’s make one thing clear that the Trent 1000 isn’t the Trent engine fitted on the A350 series. Neither less, the idea is great as well as how it lokos like. 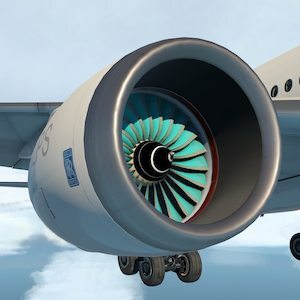 Fabio continues; It started with modeling the Trent 1000 engine, but slowly, texture parts where added to it to make it complete as in real although we have to admit that Rolls Royce doesn’t has a Trent 1000 fitted on the Airbus A350. That said, Fabio added and painted a complete Rolls Royce livery for it including a unique aircraft registration namely N350RR. The livery Fabio has chosen is one of the many Rolls Royce uses for testing engines. And Fabio continued with more modifications; the typical black lining around the cockpit windows where improved, the wheels assemblies are now dirty. 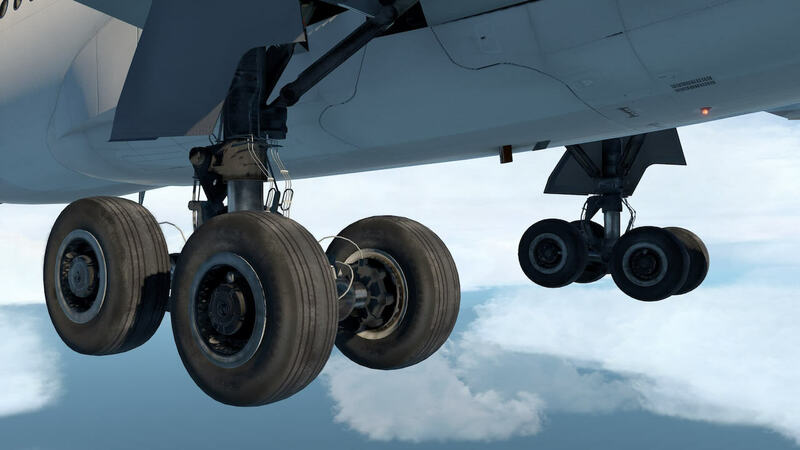 You normally see with many models very clean new wheel assemblies which is far from the reality. Oh yes, when you mount a new wheel, it’s clean, but the carbon brakes make them dirty before you know.